Each year as the snow finally melts, and the Oshkosh community begins to come out of their “winter hibernation”, the city begins to bustle with community events, activities, smiling faces, and midwest hospitality. Though many not from the area may not believe it, Oshkosh truly is a hidden gem in the state of Wisconsin – filled to the brim with fun appropriate for all ages. But what are the top things to do in the city in the summer months? We put together our a list of our top ten! From the start of the community’s ever-growing market, you’ll be greeted with local delights – begin with freshly made kettle corn, and ending with a good ‘ole fashion slice of “breakfast pie.” Yes, that’s a real thing. 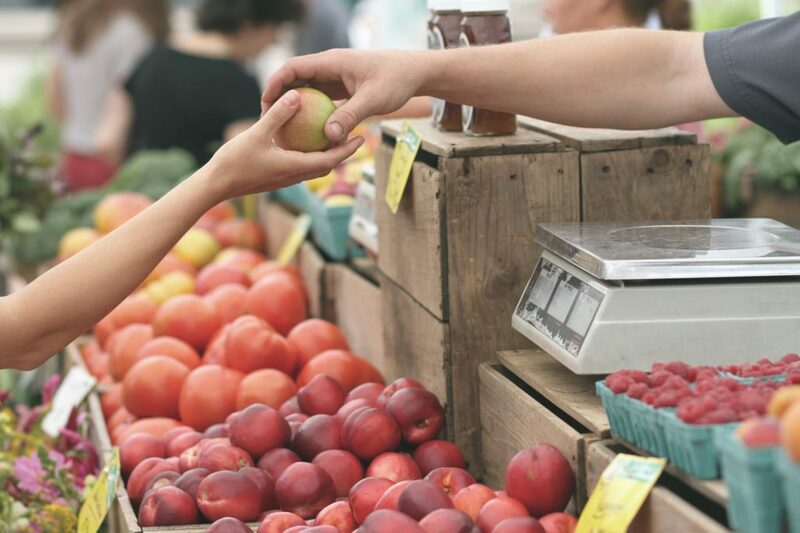 Whether you’re looking for fresh produce, a quick bite to eat, a locally made keepsake, or just looking for a fun Saturday morning activity, the Oshkosh Farmers Market is a top destination for locals and travelers alike. Let’s be honest, the fact that a community of our size has a zoo is unique, and quite frankly, really awesome! Nestled on 8 acres and featuring 30-50 rotating native and exotic animals each year, the Menominee Park Zoo is fun for people of all ages. Bonus: pack a lunch along and eat it along the shores of Lake Winnebago in Menominee Park – you’ll be in good company! All summer long, one can see picnickers, hammockers, rollerbladers, bikers, nappers, joggers, and everything in between. Menominee Park and it’s zoo are a great place to enjoy a nice summer day. A long held local treasure, this seasonal drive in is known best for it’s amazing custard. Drive your car, put it in park, and wait for your waitress to tend to you – right from your car window! But be warned, the serving sizes are big, the cookie dough chunks are chunky, and the flavors are to die for. Maybe we’re biased, but we think the community would agree that this is a must do when visiting Oshkosh. 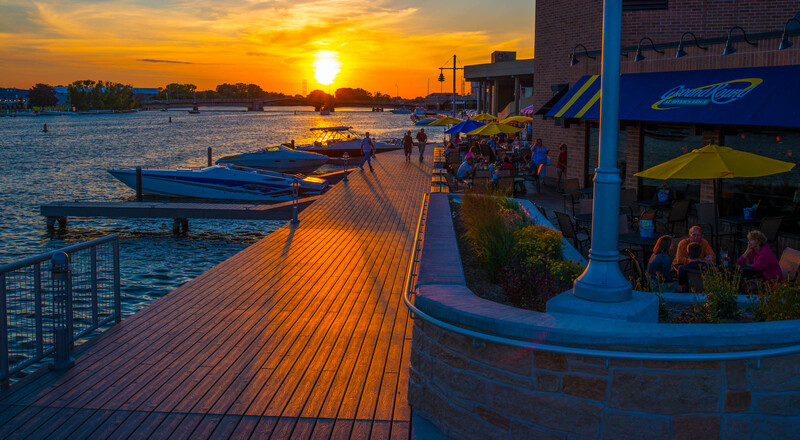 Along the banks of the Fox River, our patio provides beautiful views, a refreshing breeze, and is a great place to meet up with friends! It’s also not uncommon for boaters to dock just outside the restaurant after a long day on the water, and swing by for dinner and a drink. 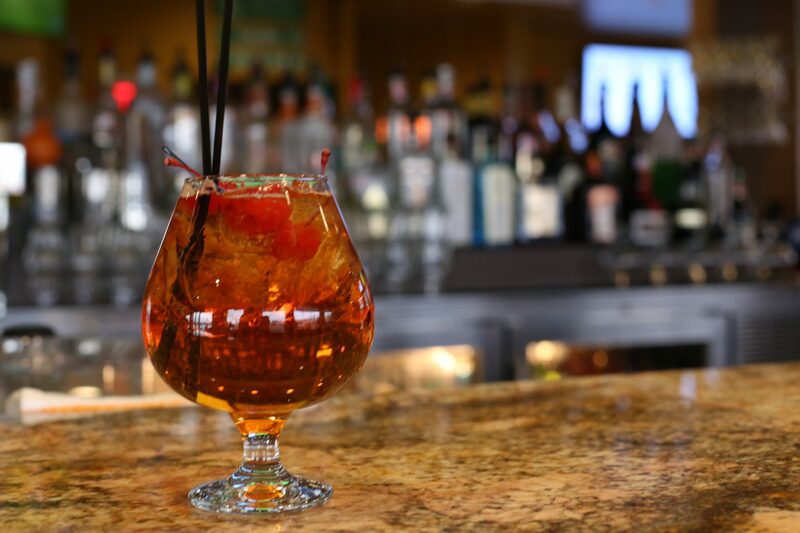 If that sounds tempting, stop in from 3 – 6 p.m. or 9 p.m. – Midnight and take advantage of our happy hour specials – and don’t forget your pets at home! The Ground Round patio is completely pet friendly, so bring your four-legged companion along on your next visit. Taking the stage each and every summer, Waterfest is a music festival taking place right in downtown Oshkosh along the Fox River. Attracting a line up of Pop, Rock, Jazz, R&B, Bluegrass and Roots music, there is something for everyone at this event! Visit the Leach Amphitheatre June – August to enjoy great music and great fun. EAA Airventure attracts thousands to the city each year, and for good reason! For weeks one can hear the booming sounds of new and old airplanes making their way to the EAA landing strip. Purchase tickets to the EAA grounds, and you’ll nose dive right into a plethora of entertainment! From inspirational talks from the world’s first woman pilots, to a massive product expo, and airliners as far the eye can see, Airventure is a must-see in the month of July. Each day the event puts on one if not multiple airshows, which can sometimes be seen across the city. If you’re lucky enough to be nearby the EAA, lay a blanket on your front lawn to view the show, or avoid the crowds and watch the planes and jets fly overhead while enjoying cocktails and dining on the Ground Round patio! Believe it or not, we’ve been rated the #1 Packer Bar in the entire city. Pretty cool, right? The lively atmosphere that fills our walls on Packer game day is something that we thrive on here at the Ground Round. Stop in during the next game to root, cheer, holler, and celebrate another successful “hail mary” with your fellow Wisconsinites and Packer enthusiasts. Spanning 41 miles total and connecting Winnebago, Waupaca, Shawano, and Outagamie counties, the Wiouwash Trail provides a great option for locals to partake in their favorite outdoor recreation activities. The most effective way to see a large portion of the trail is by bike, but if slow and steady is more your style, the Wiouwash also provides a great place for walkers and joggers to get in their daily strides! Adventuresome bicyclists or distance joggers can start at the Ground Round patio, and follow the river walk all the way to the Wiouwash trail. For reasons unknown, it always seems to rain during the week of Country USA (CUSA) resulting in a lot of wet and muddy country music fans. But if you’re not afraid to “get a little dirt on your boots”, CUSA is an awesome opportunity to see some of the industries best country music stars live in concert! Downtown Oshkosh is growing, and new shops and boutiques seem to be “popping up” each and everyday! Whether you’re just in the mood for some window shopping, or you’re looking to buy some unique local products, downtown is a great place to spend a lazy Saturday or Sunday afternoon.